Pantera Wardrobes has been importing furniture from Italy since 2007. We work with Novamobili and Battistella to plan product manufacture and deliveries which is critical when bringing large volumes of product across Europe into the UK. The Pantera and Novamobili teams have worked closely for a long time and we understand the capabilities and constraints on both sides. This allows us to provide the best possible service when creating the perfect product for a new scheme. Pantera Wardrobes continuously look to innovate so we offer wardrobe solutions that meet the changing needs of the industry. With the recent development of Urbanmobili, we have forged great partnerships with some of the UK’s best manufacturers. This has enabled us to bridge the gap between quality and affordability. As a front-framed system, our new Urbanmobili is ideal for the developer market. It provides a streamlined and contemporary storage solution offered at a competitive price and, being front-framed, benefits from being zero rated for tax. Our partnerships also give us the flexibility to adapt our Urbanmobili range to project specific requirements. In 2007 Pantera Wardrobes started its business on a development in Islington of 120 apartments designed by Tara Bernhard’s Target Living. Since then we have continued to work in London on schemes that require careful planning of deliveries and material distribution. This is part of Pantera Wardrobes expertise, as our management team often states, installing the wardrobes can be the easy part. It is the distribution on London developments that requires early planning and ongoing management. Most recently this has included work on projects such as 1 Tower Bridge for Berkeley Homes and The Woodberry Down regeneration scheme. 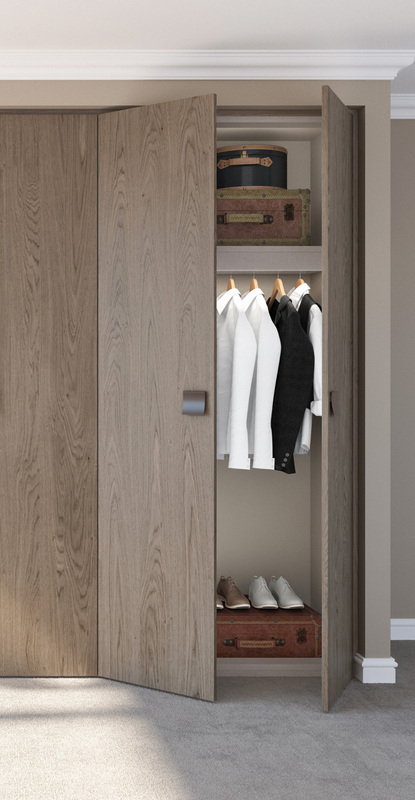 Our wardrobes and installation service are ideal for new and refurbished housing. Over the past 11 years we have worked on schemes throughout Surrey, Sussex, Essex and Kent for major housebuilders such as Berkeley Homes, Crest Nicholson and for building contractors Kier. Our client base increases each year as developers seek better-quality products for their high specification developments. Wardrobe installation is the main part of our business. However, we also provide multi-media cabinets, living room furniture and bedroom accessories such as drawer units and bedside tables. Our sister company Pantera Carpentry provides a full fit out service and Pantera Wardrobes and Carpentry contracts are often combined, with Pantera Carpentry offering bespoke furniture, concierge areas, hotel fit outs, doors, floors & panelling, catering for all aspects of carpentry and joinery needs.